The CEO of the Canadian Centre for Swine Improvement says the adoption of new technology will be key for Canada's pork industry to remain competitive while meeting new challenges facing the industry. In partnership with Swine Innovation Porc the Canadian Centre for Swine Improvement is examining novel technologies designed to optimize pig performance and improve competitiveness. Centre CEO Brian Sullivan says historically the biggest challenge for the Canadian pork industry has been to remain competitive. We needed to have very efficient sows, efficient growing hogs with good yielding carcasses and that's going to continue. We need technologies to make sure we keep at the leading edge in everything we can do as far as efficiency is concerned. We're also being faced with many new challenges, some of those in the animal welfare health areas, some of them in pork quality for example. Some of these are going to be challenges and some of them are opportunities. There's no question that Canada has always been a leader in development and adoption of technologies and it's one of the reasons that we're among the leaders in pork production globally and to maintain and develop that further we have to stay ahead of the curve on technology. This is going to be critical not just to survive but to take advantage of the opportunities and to meet the challenges that are facing the industry. Sullivan says by no means is Canada alone at looking at technologies and doing the research that is needed. He says there's very tough competition from our neighbors to the south and Europe in particular as well as other countries so, if we rest on our laurels, it's pretty sure somebody is going to come in and take the share of the market. 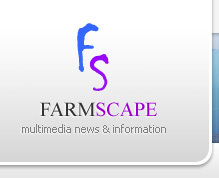 For Farmscape.Ca, 'm Bruce Cochrane.